So, Alinea once again, and once again blown away. Alinea is quite a different experience for me simply because I’ve been lucky enough to visit several times, 4 to be exact. Whereas other restaurants, incredible as they were, I’ve only been to once. Consistency is one of the biggest challenges of any restaurant, and Alinea has proven to be consistently innovative. More importantly, it is staying relevant. To me at least. There is really something about how they are able to pull off a multisensory experience. Some can call it a gimmick, but if it works, makes sense and doesn’t get in the way of the food, then it rises above being mere smokes and mirrors. 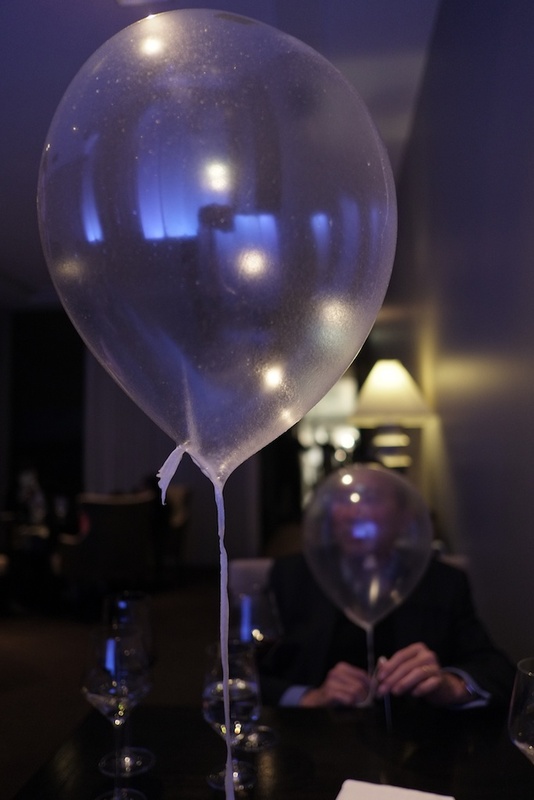 To me, Alinea is really THE multisensory experience done right. That being said, I haven’t gone to all the restaurants that do a similar theme. Just a few of the dishes of the experience. 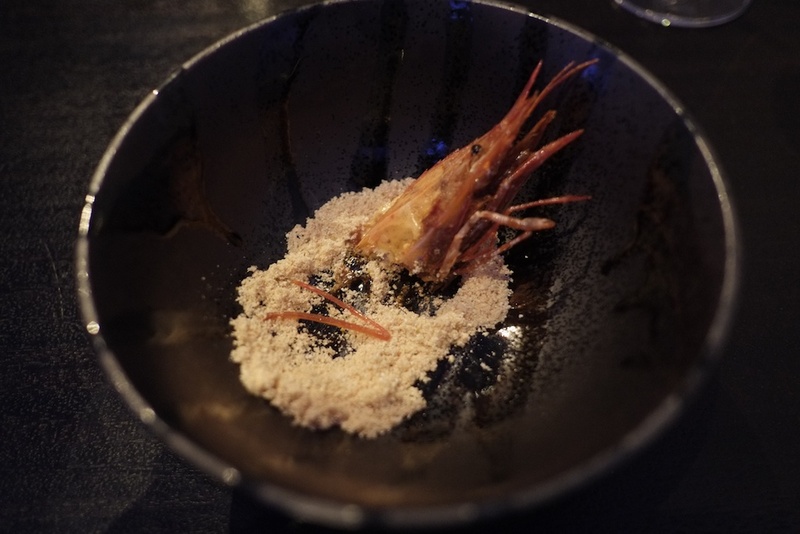 There is always something special about being able to eat the whole prawn, head, shell and all! The head was my favourite part, delicately crispy and didn’t give me any worries about skewering my gums. This perhaps exemplifies multisensory and emotional dining. Who would even imagine having a pile of burning coals in front of diners, and on the damn table itself. This was their center-piece. Knowing Alinea, I knew something was up. I knew this was more than just a pile of coals to burn. And I was right. To not give away too much, it becomes part of a dish later on that night. Yet another dish that makes you wonder what else they could come up with. An edible balloon? I mean, that stuff is just crazy cool. 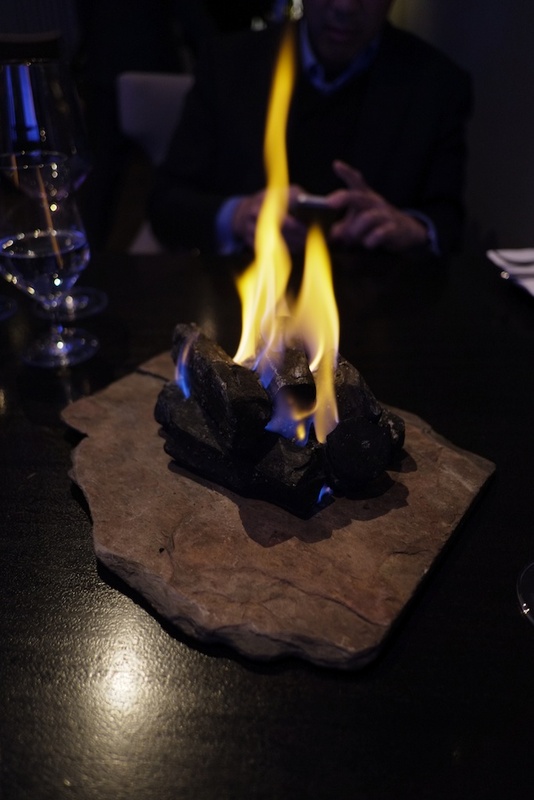 If you search the Alinea channel in Youtube, you’ll see this dish somewhere there. Though, in that video it was lamb, we had duck 5 ways, with 60 garnishes, yes 60! Still just taken aback at how much prep this dish takes. As always, I leave Alinea with bittersweet feelings. Glad I dined, sad it had to end. Till next time! 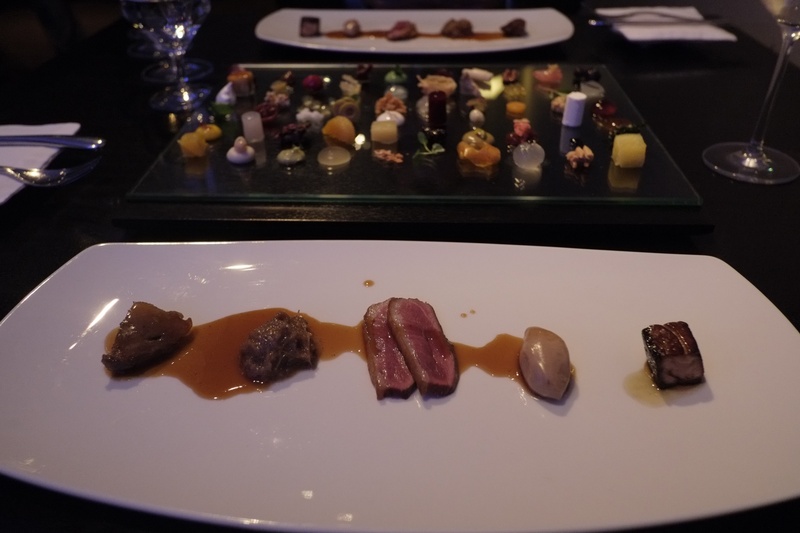 This entry was posted on Thursday, February 6th, 2014 at 11:04 pm	and tagged with Alinea, multisensory experience and posted in Uncategorized. You can follow any responses to this entry through the RSS 2.0 feed.